Are you looking for a change? Do you need to find a good hairdresser in Newcastle? If you care also about hair style, you should get to know the best hair salons in Newcastle in addition to some tips to know when choosing a hair studio. Hair style taste is very personal and sometimes it is hard to find the right style that better fits our face features. This is why is important choose the right hair stylist to trust him our hair and a good hair salon in Newcastle. The website: Nowadays, most of the hairdressers in Newcastle have website and social media where they share pictures of their work and the best haircuts they’ve done. Visit their sites and check it out so you can get a first impression. Think of others beauty treatments you would like to get and ask if they offer it too. Plenty of hair salons in Newcastle also practice other beauty therapy treatments like pedicure and manicure. Infoisinfo has prepared an interesting list for you to find the best hairdressers near you in Newcastle. As we said, it is important to have references. That is why you will also find valorations and comments from others in our website. If you find it useful, you can share your experince and help others. 447 Oxford St, Newcastle. Newcastle. NSW, 2300. 12 St Andrews Way, Fletcher,NSW, 2287, Fletcher. Newcastle. NSW. Lower Level Westfield, Northcott Dr, Kotara. Newcastle. NSW, 2289. Q Hair & Body, 8 Pacific St, Newcastle. Newcastle. NSW, 2300. 83 Tudor St, Hamilton. Newcastle. NSW, 2303. 112 Belford St, Broadmeadow,NSW, 2292, Broadmeadow. Newcastle. NSW. Shop 14, Plza, Wallsend. Newcastle. NSW, 2287. 76 Glebe Rd, The Junction. Newcastle. NSW, 2291. 392 Maitland Rd, Mayfield West,NSW, 2304, Mayfield West. Newcastle. NSW. Shop 2085, Westfield Kotara,Kotara, NSW, 2289, Kotara. Newcastle. NSW. 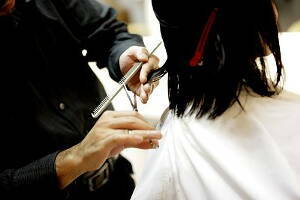 Hair and hairdressers are the main activities of this business. Just Cuts specialises in cutting and styling hair for men, women, and children. 148 Darby St, Cooks Hill, NSW,2300, Cooks Hill. Newcastle. NSW. 76 Glebe Rd, The Junction, NSW,2291, The Junction. Newcastle. NSW. Unit 2, 34-36 Beaumont St,Hamilton, NSW, 2303, Hamilton. Newcastle. NSW. 10 Wood St, Newcastle West, NSW,2302, Newcastle West. Newcastle. NSW. Design and hairdressers are the main categories of this company. Sirocco Hair endeavours to exceed every client's expectations and always striving to go beyond the status quo. Suite 1B, 2 Ocean St, Newcastle,NSW, 2300, Newcastle. Newcastle. NSW. Shop 12 Waratah Shoping Village11 Turton Rd, Waratah, NSW, 2298, Waratah. Newcastle. NSW. 269 Brunker Rd, Adamstown, NSW,2289, Adamstown. Newcastle. NSW. 1/ 19 Milton St, Beresfield,NSW, 2322, Beresfield. Newcastle. NSW. 18 Kenrick St, The Junction,NSW, 2291, The Junction. Newcastle. NSW. 43 Station St, Waratah, NSW,2298, Waratah. Newcastle. NSW. 79 Woodford St, Maryland. Newcastle. NSW, 2287.